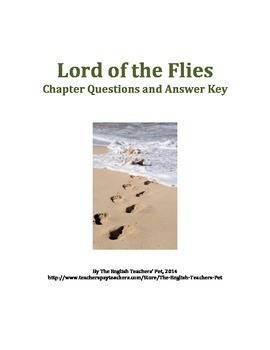 Are you in need of thought-provoking, detailed chapter questions to Golding's classic novel, Lord of the Flies? 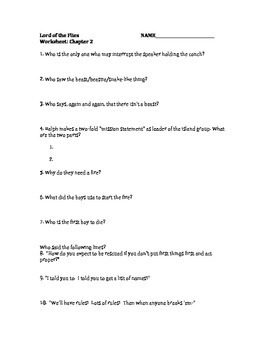 Included in this 24 page packet are Twelve chapter questions worksheets for William Golding's Lord of the Flies, with a paginated answer key for your view. "Who said it?" 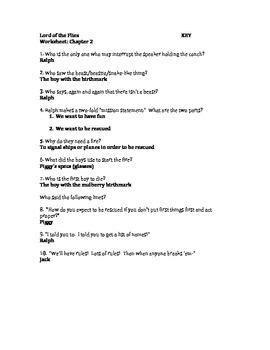 Quotes are mainstay questions, allowing for students to find famous and pivotal lines from the novel. 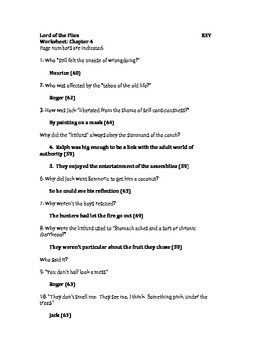 Plot and character questions are also included, along with thematic questions on favorite characters, why the descent into savagery, and other symbolism-themed questions. Ready to print and pass out with your novels today!